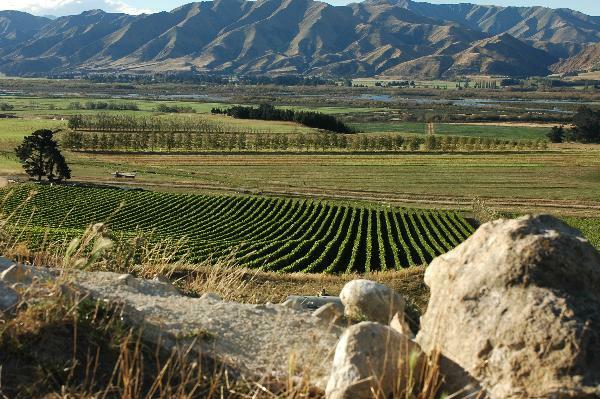 As pioneers in New Zealand's newest wine region brothers-in-law Jeff Sinnott and Jim Jerram founded Ostler Wines to produce distinctive vineyard-specific cool climate wines. Estate-grown Caroline's pinot Noir and Audrey's Pinot Gris are the signature wines complemented by Grower Selection Pinot Gris and Riesling. Traditional and modern viticulture and winemaking turn grapes from low yielding vines into exquisite liquid geography. These are wines of distinction, finesse and integrity. The cellar door for Ostler (and other Waitaki Wines) is the Vintner's Drop in Kurow.